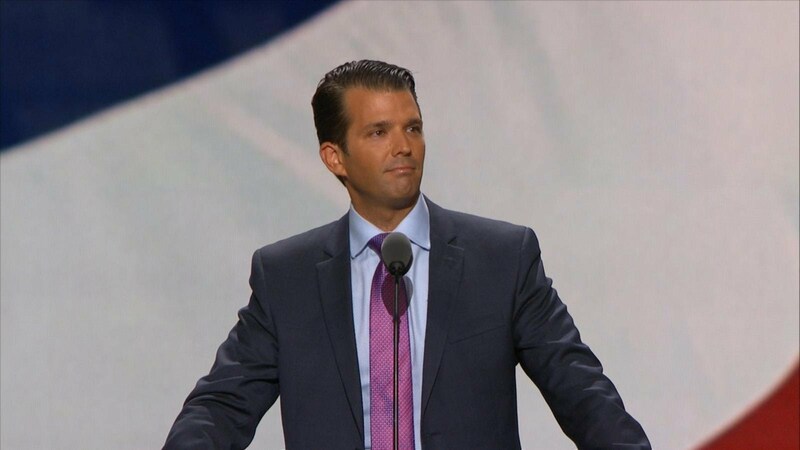 President Trump’s eldest son is scheduled to meet investors, and deliver a foreign policy speech. Donald Trump Jr. kicked off his controversial visit to India on Tuesday by praising the country’s poor people for having “a smile” on their face despite their poverty. Trump Jr.’s visit has been criticized by watchdog groups and critics of the administration, saying that he is trying to cash in on his father’s presidency. During the visit, Trump Jr. is scheduled to meet investors in New Delhi, Mumbai, Kolkata and Gurugram, and dine with them. “Trump’s local partners have promised dinner with the US president’s son to anyone who buys into the development of high-rise apartments boasting floor-to-ceiling windows, state of the art amenities and a ‘lifestyle concierge,” the Times of India reported. Watchdogs say the visit is rife with conflict of interests. “Trump’s company is literally selling access to the president’s son overseas,” Jordan Libowitz, the communications director for Citizens for Responsibility and Ethics in Washington, told the Washington Post. “For many people wanting to impact American policy in the region, the cost of a condo is a small price to pay to lobby one of the people closest to the president, far away from watchful eyes,” he added. Though the visit is dubbed as an unofficial one, Trump Jr. will also share the stage with Indian Prime Minister Narendra Modi and deliver a speech on Indo-Pacific relations on Friday. Some are questioning his qualification and bona fide to speak on foreign policy. “Hi, I’d like to give a speech on luxury real estate development. Anyone in India interested?” tweeted Alyssa Ayres, a senior fellow for India, Pakistan, and South Asia at the Council on Foreign Relations (CFR). Several critics pummeled Trump Jr. on twitter. “Trump is set to bankrupt this country, remember he’s the “King” of debt and Bankruptcies and what’s this about jr giving a foreign policy speech in India are these f’kers taking over our country,” tweeted a user going by the name Patricia Cash. This is not the first time critics have accused the Trump family of using the White House to make money and profiteering from the presidency of Donald Trump. In a report released last month, the Citizens for Responsibility and Ethics in Washington had noted that Trump was continuing to profit from his business while in office and “in many cases, he is profiting as a result of his presidency”.